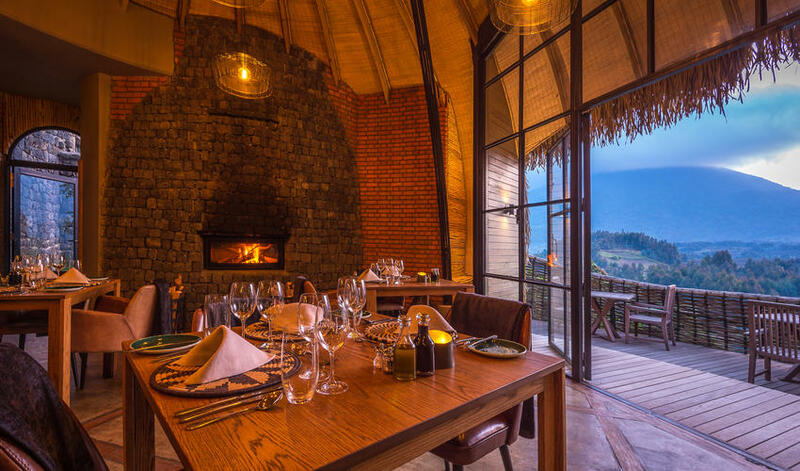 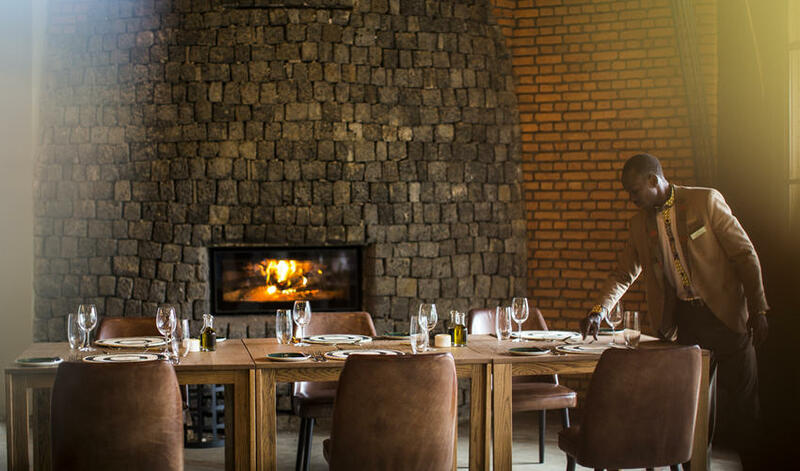 Nestled into a naturally formed amphitheater with spectacular views of the Bisoke, Karisimbi and Mikeno Volcanoes in Rwanda, Bisate Lodge is a wilderness-lover's dream. 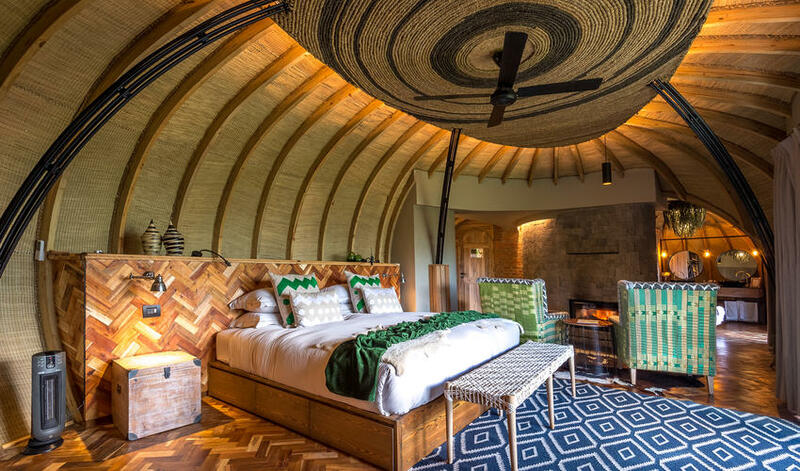 Centered on a vision of sustainability, conservation and wildlife protection, the property spans 66,700 acres with only six luxurious guest villas onsite. 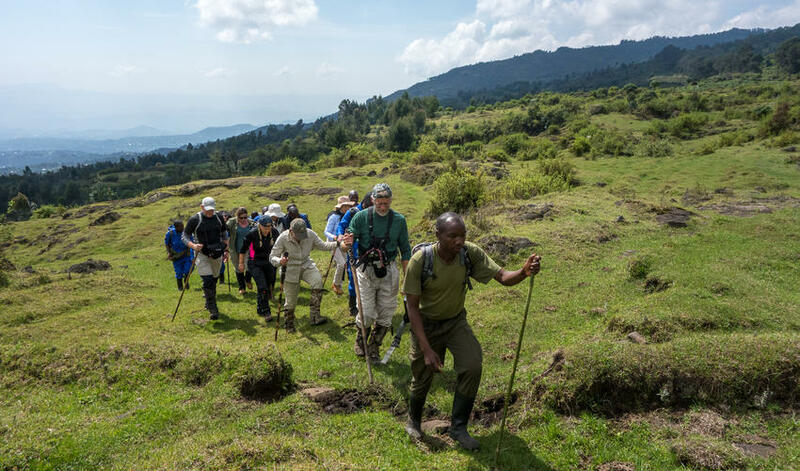 This ratio ensures guests the utmost level of attention as well as the most private and pristine wilderness experience. 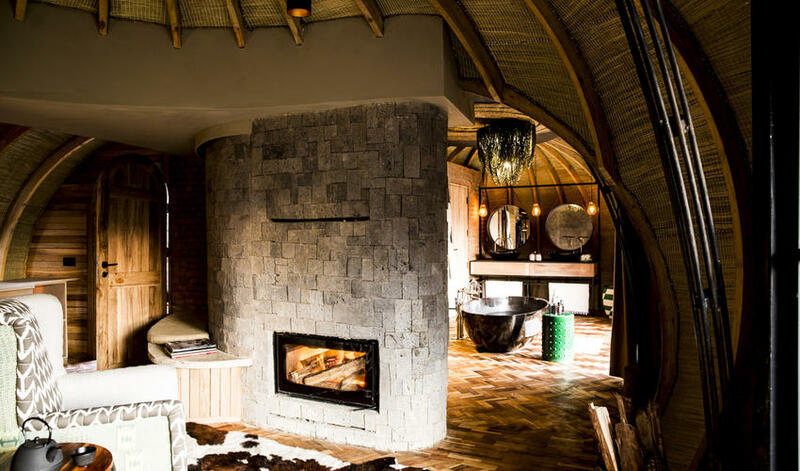 Each room features a reception area, fireplace and en-suite bathroom, pairing sumptuous comfort with environmentally friendly design. 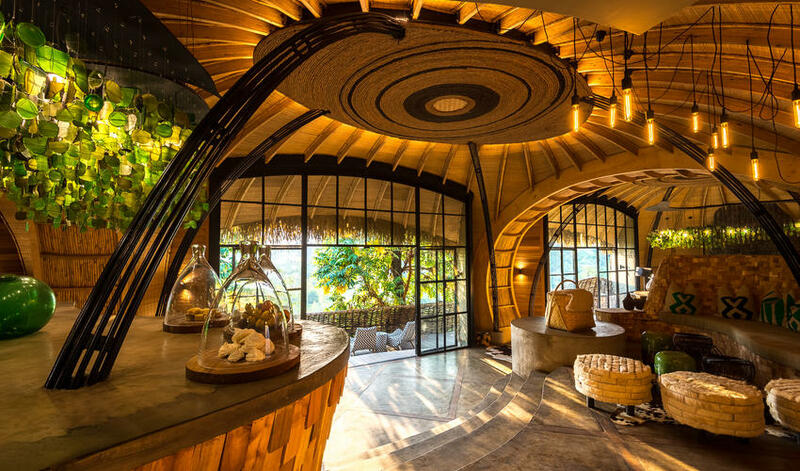 The décor retains the surrounding area's spirit and culture. 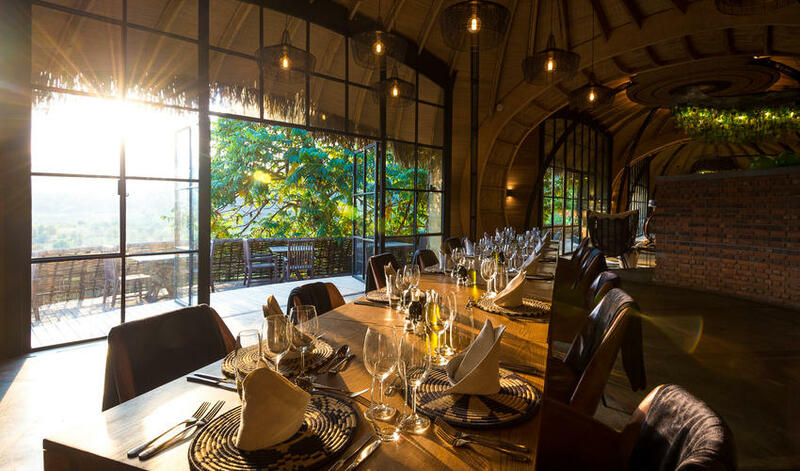 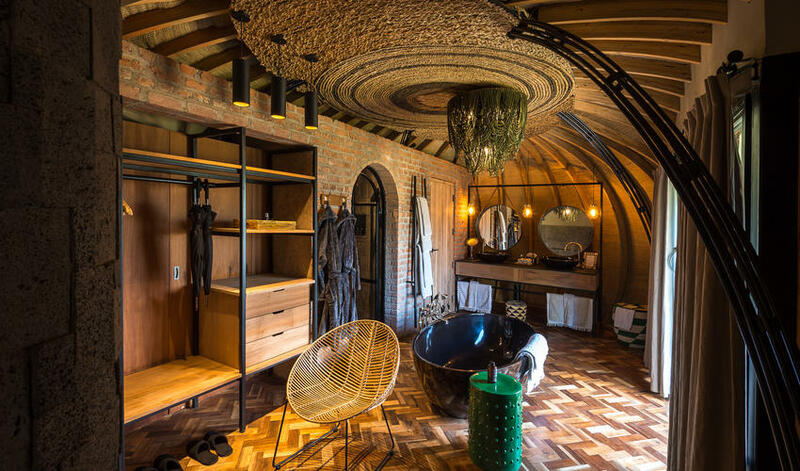 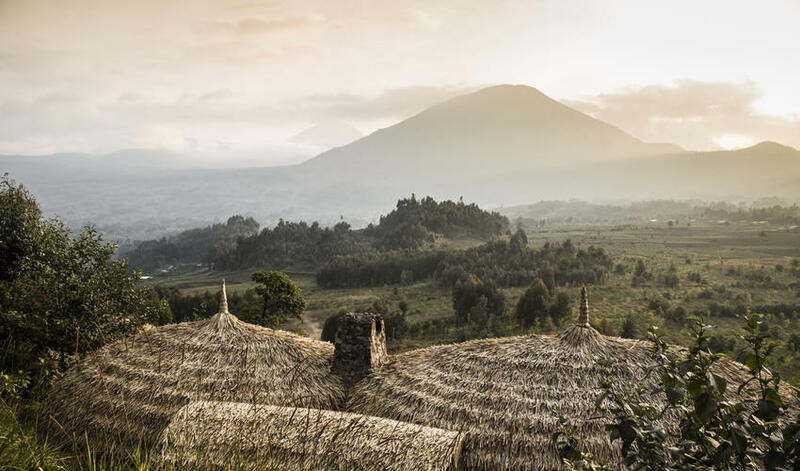 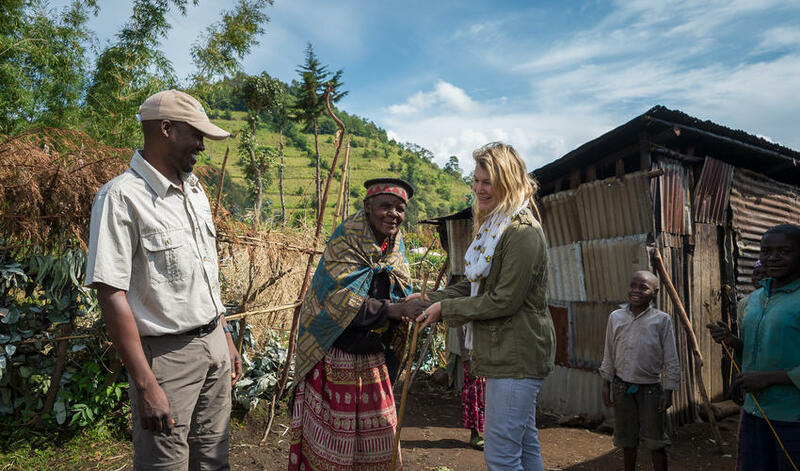 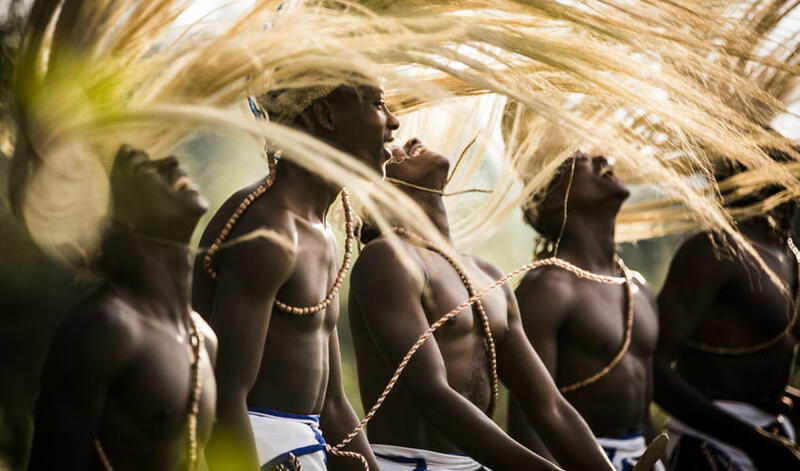 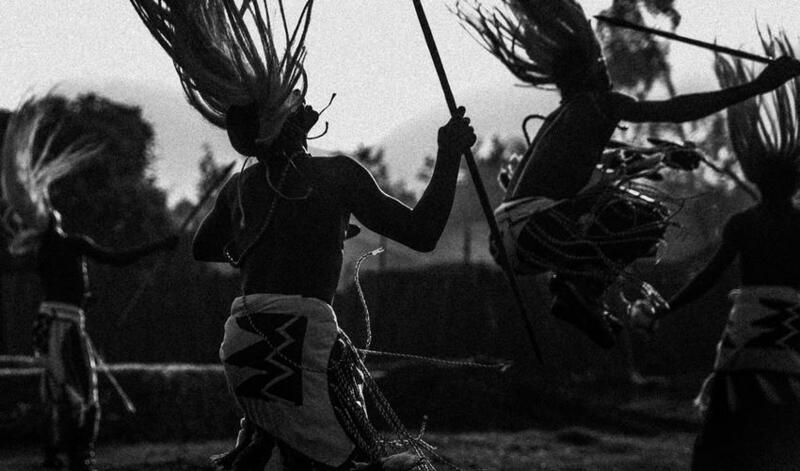 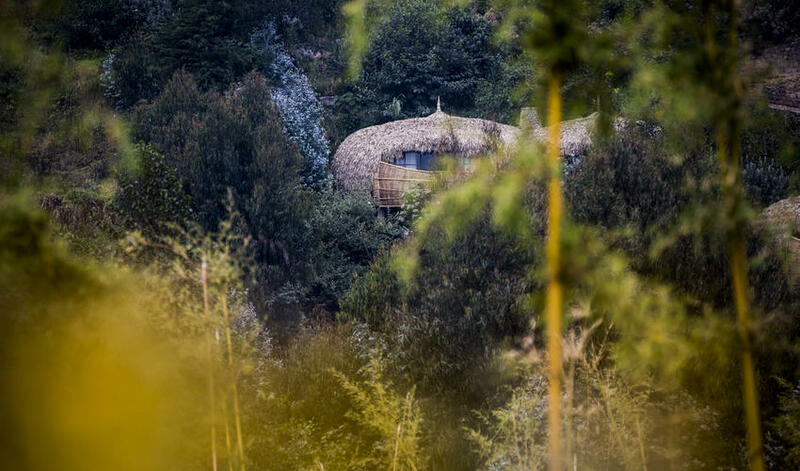 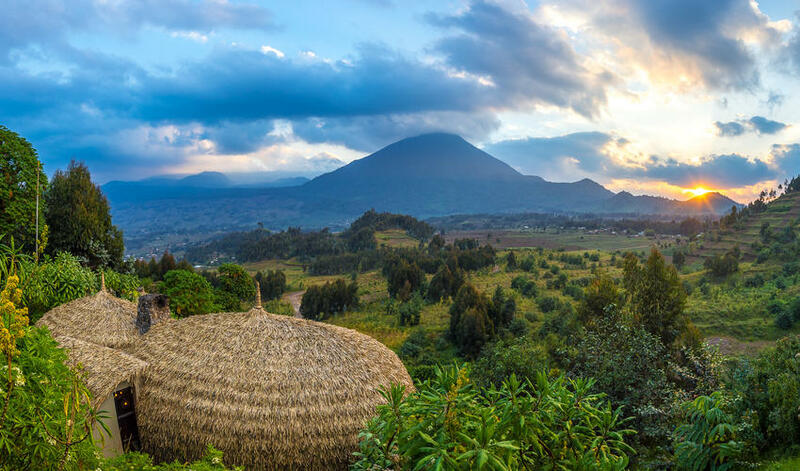 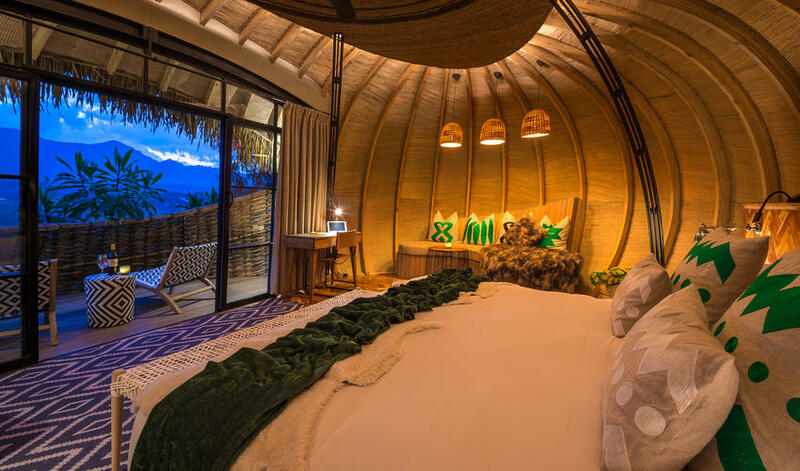 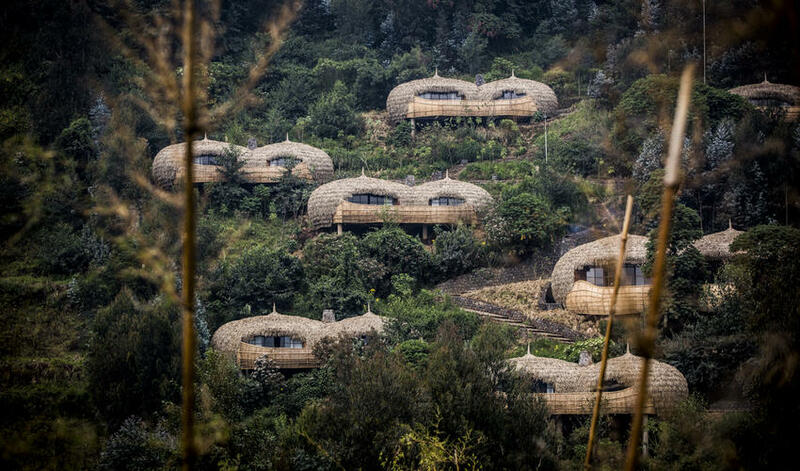 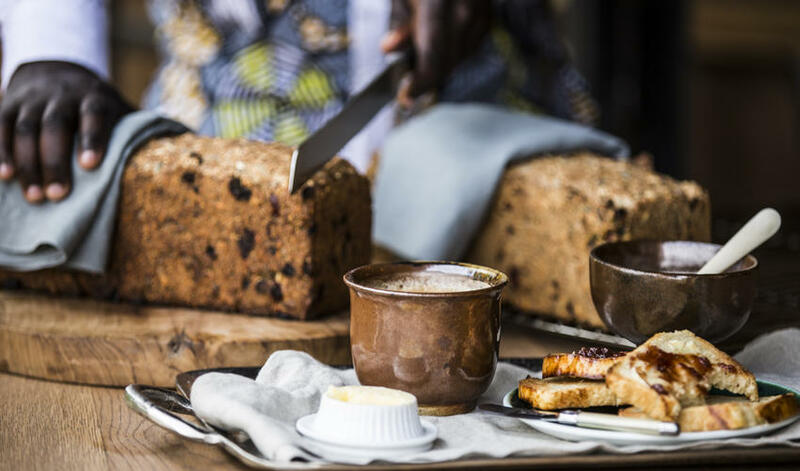 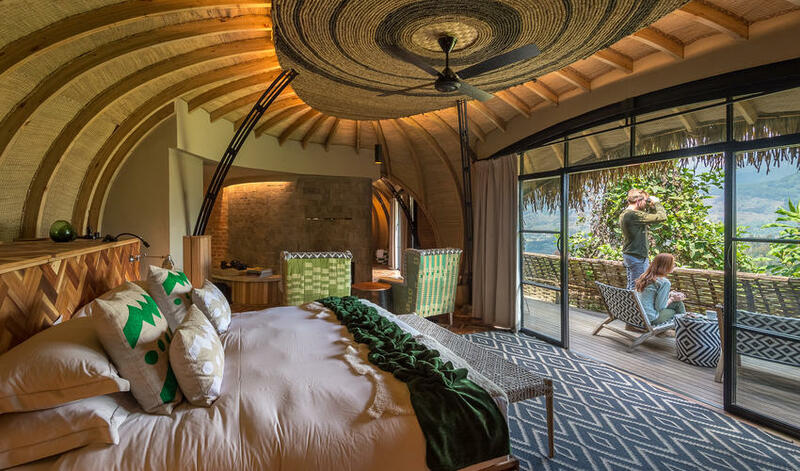 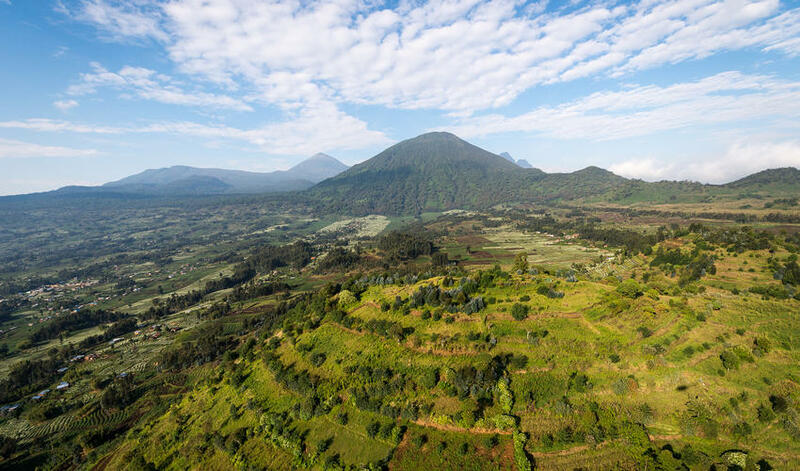 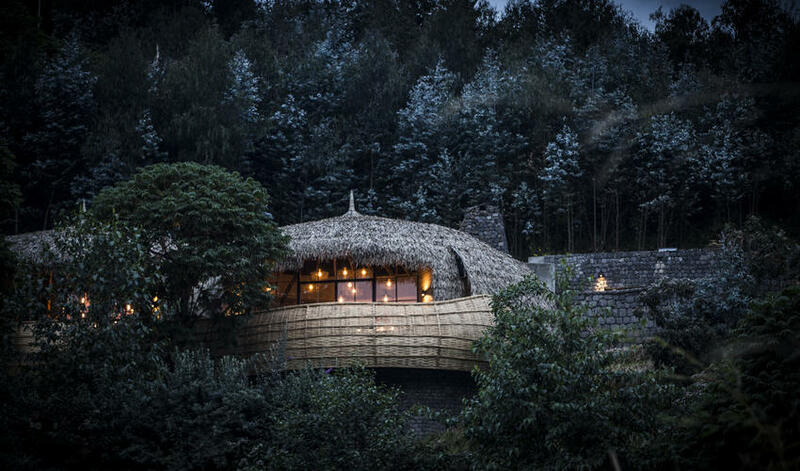 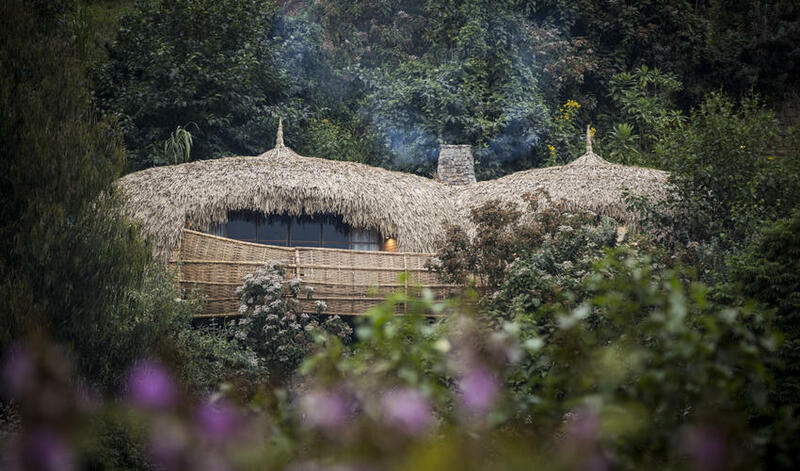 Even the name – “bisate” – translates from local Kinyarwanda to “pieces,” evoking the natural erosion of the very volcanic cone around which the spherical, thatched villas are designed. 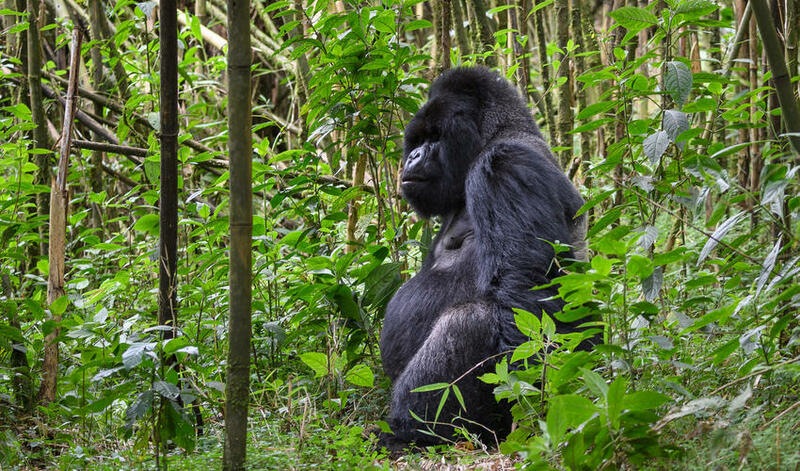 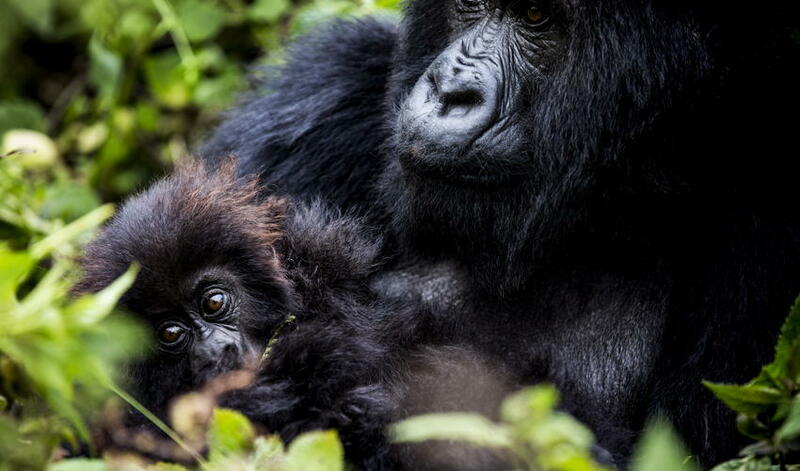 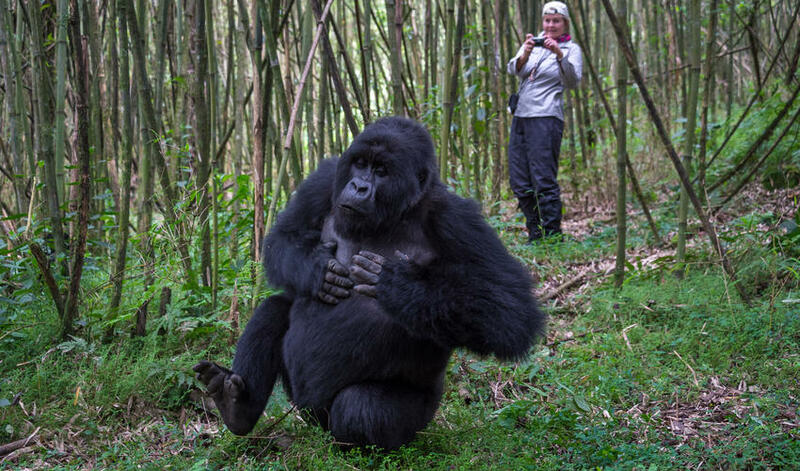 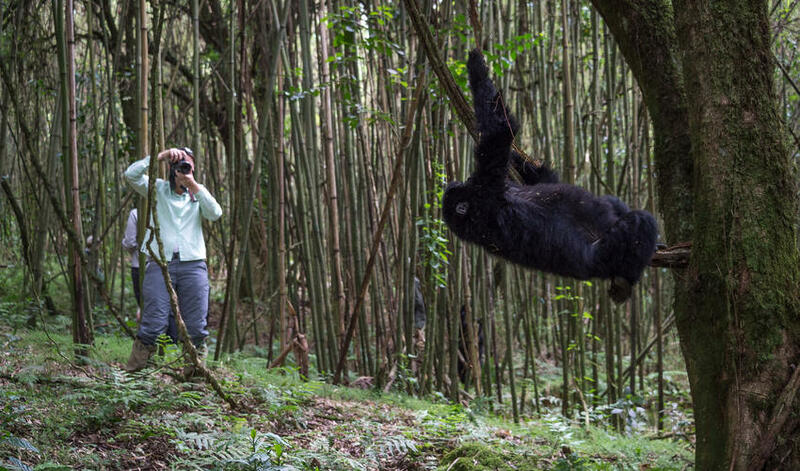 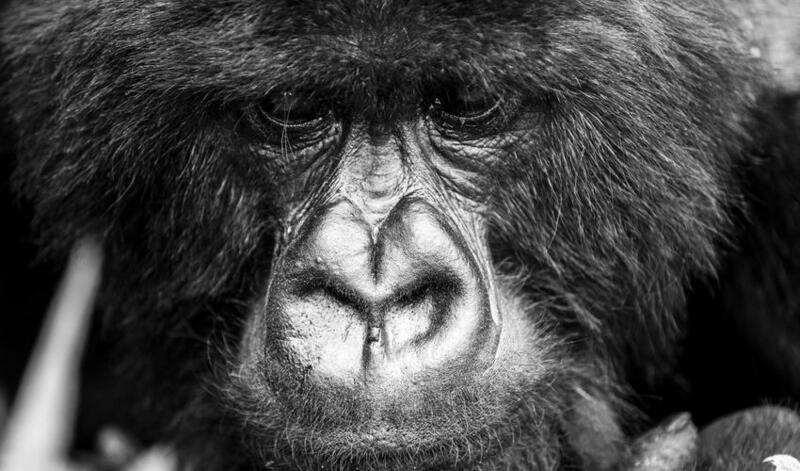 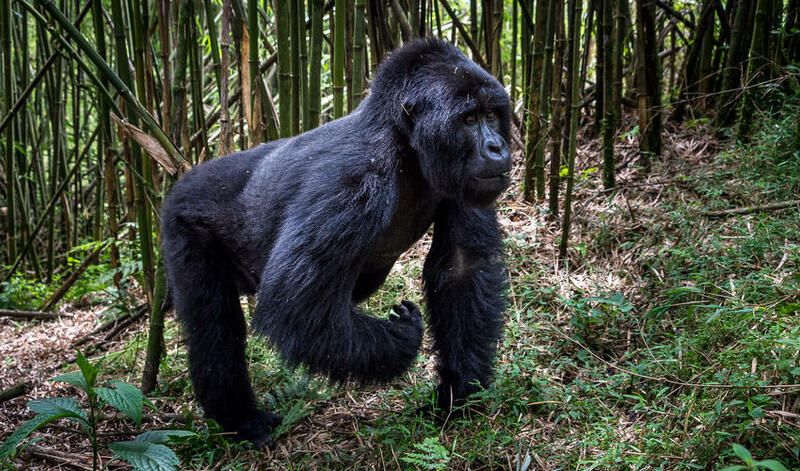 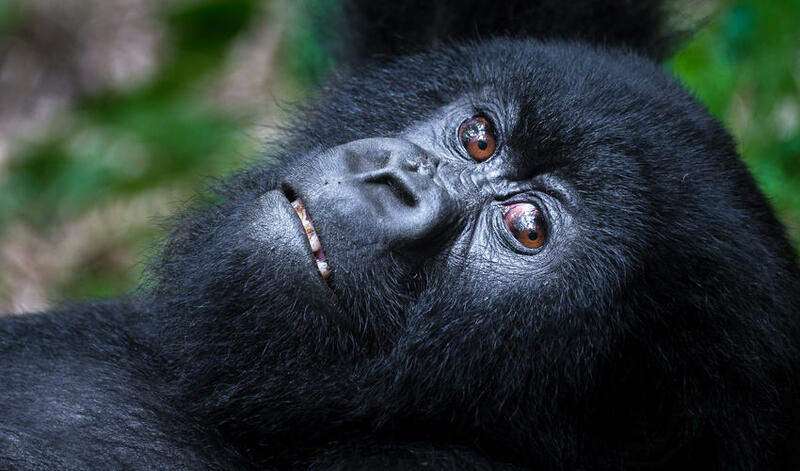 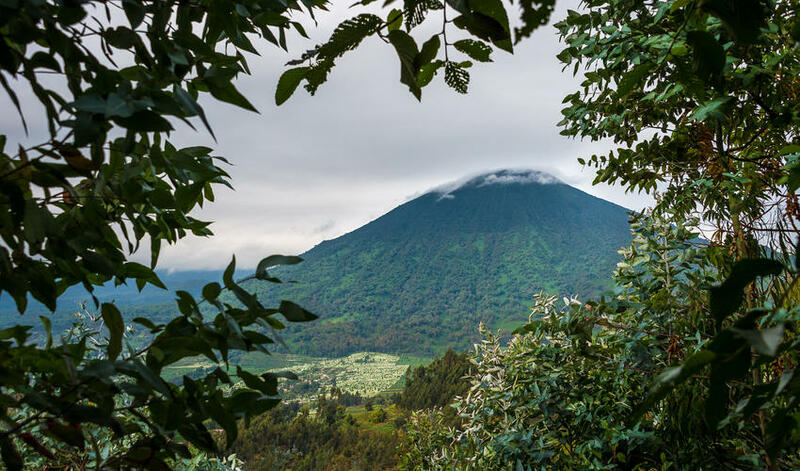 Located a stone’s throw from Volcanoes National Park, the gorilla trekking is a must-do activity for most visitors but that's not all on offer. 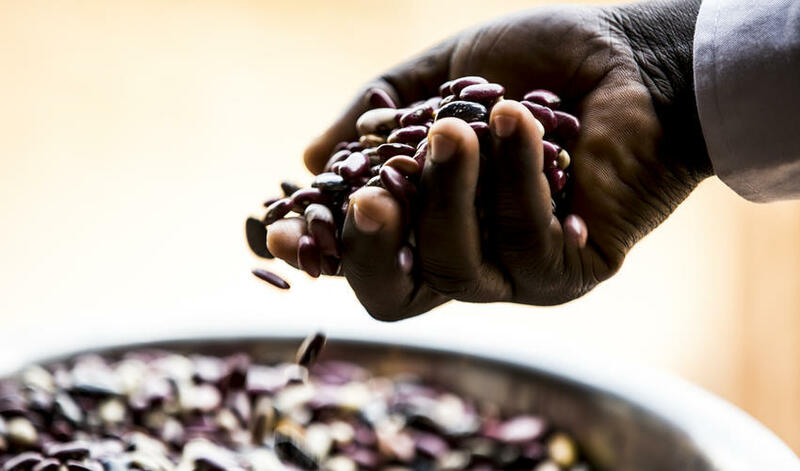 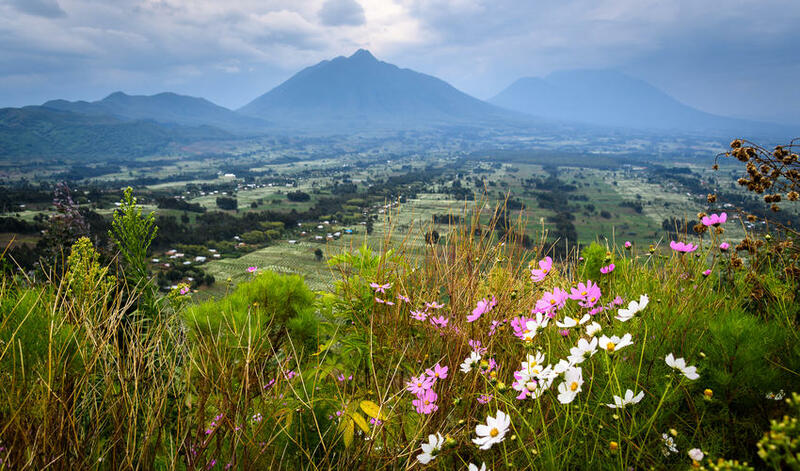 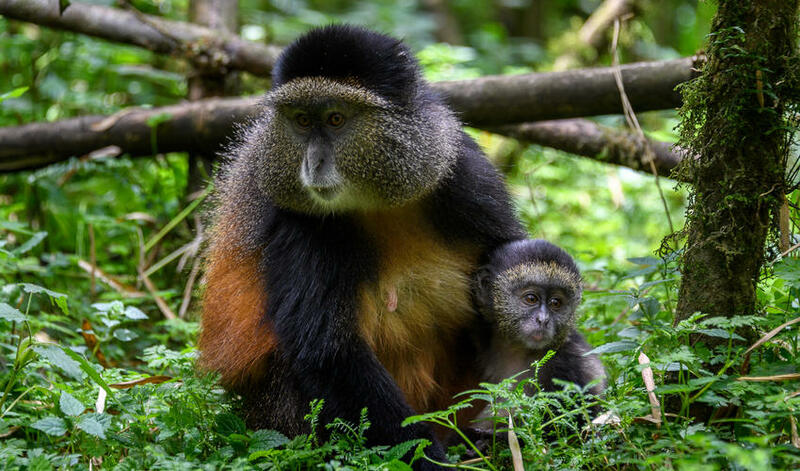 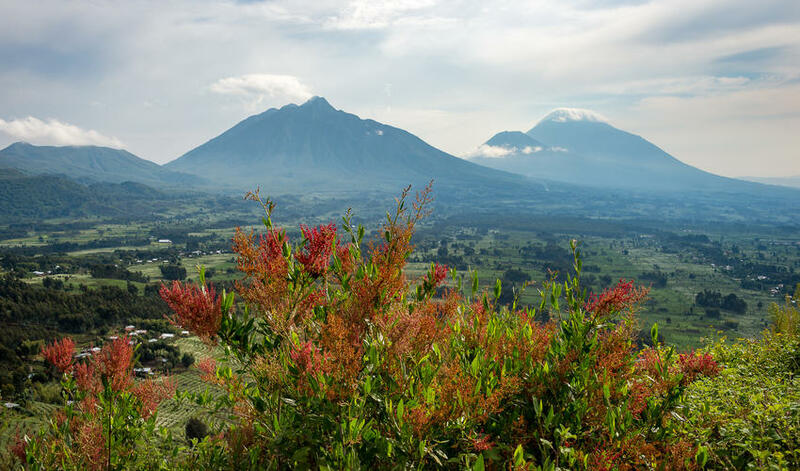 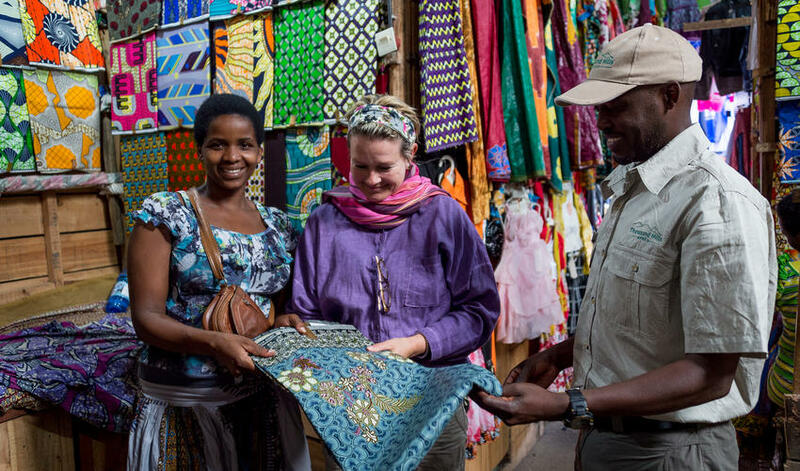 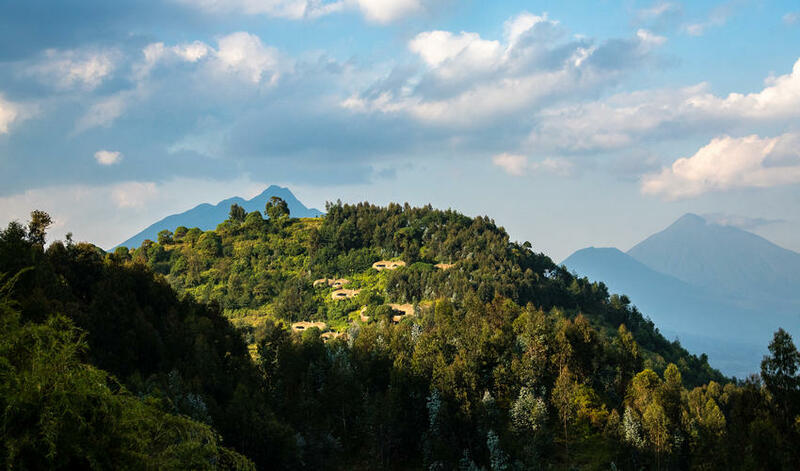 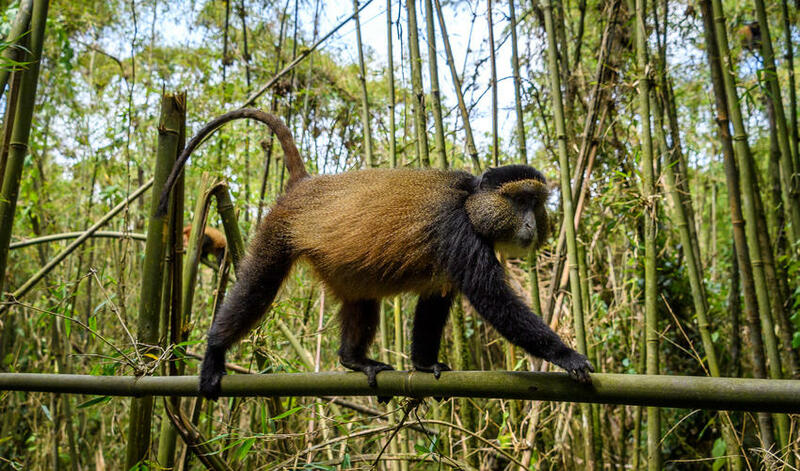 Explore the volcanic landscape on day hikes to Bisoke Volcano, search for golden monkeys in the park or engage with locals through community walks at the nearby Iby'wacu village. 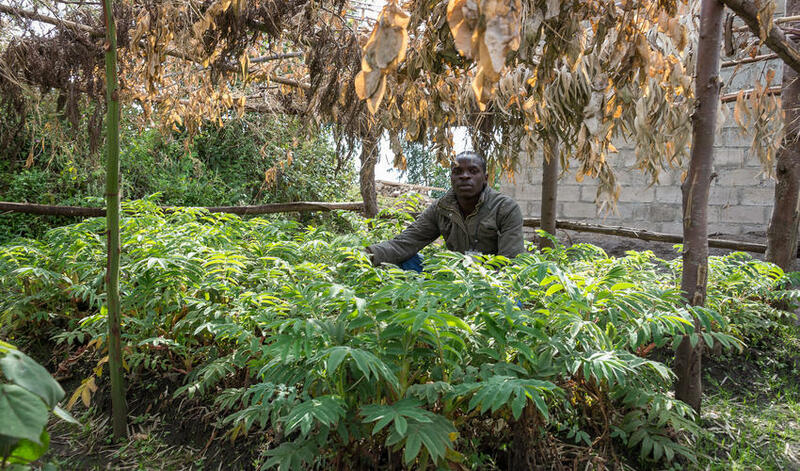 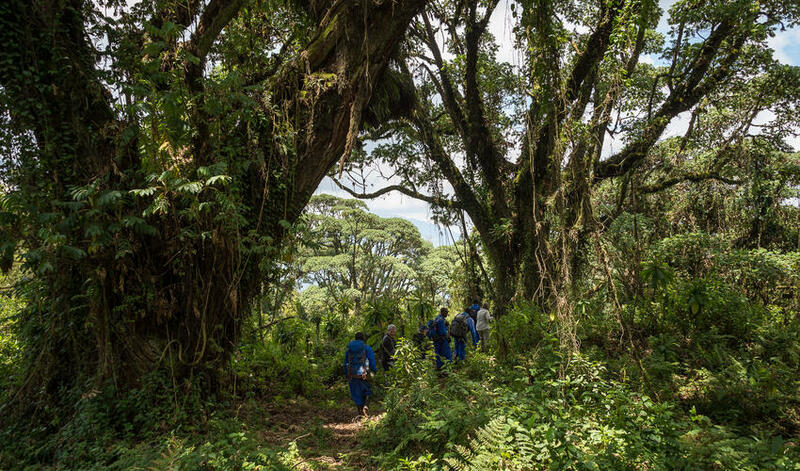 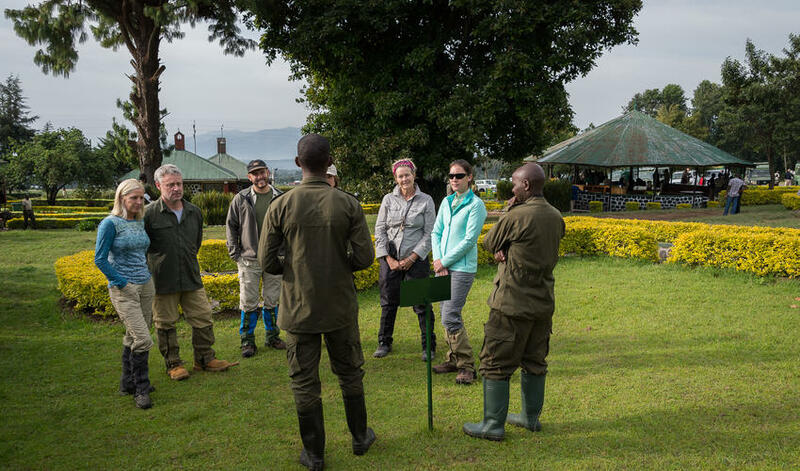 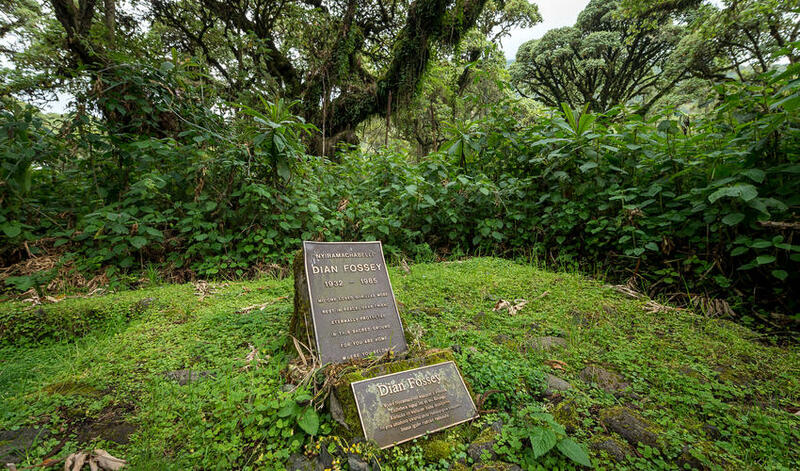 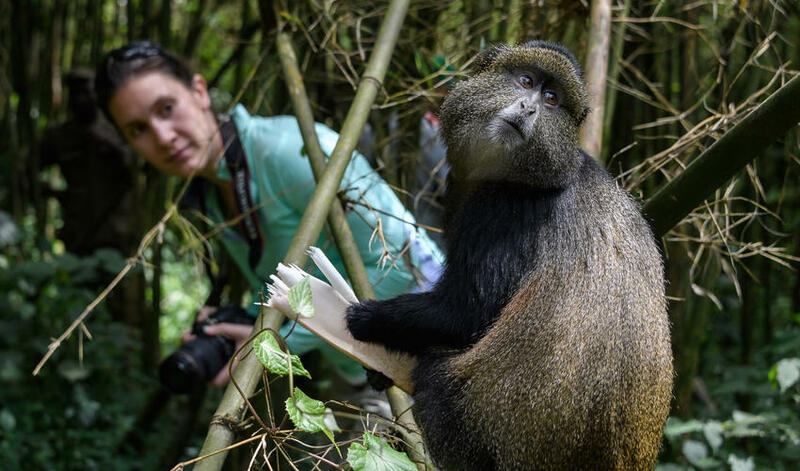 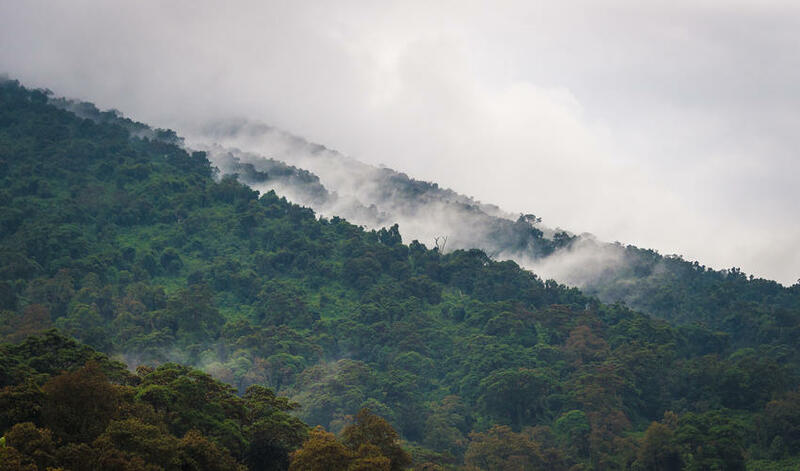 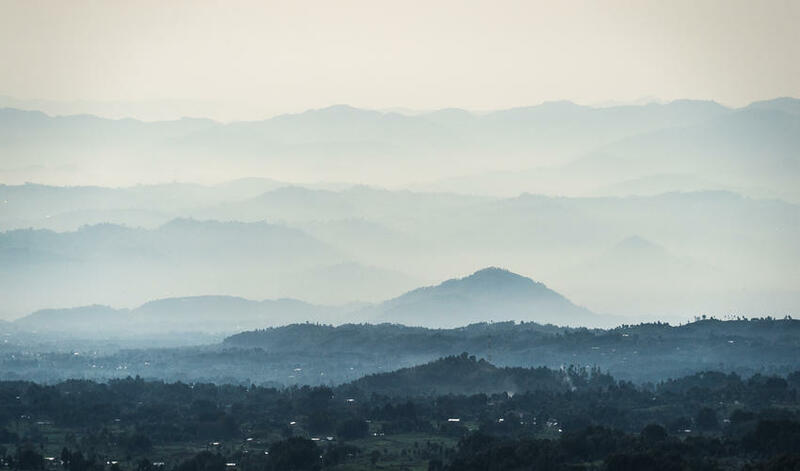 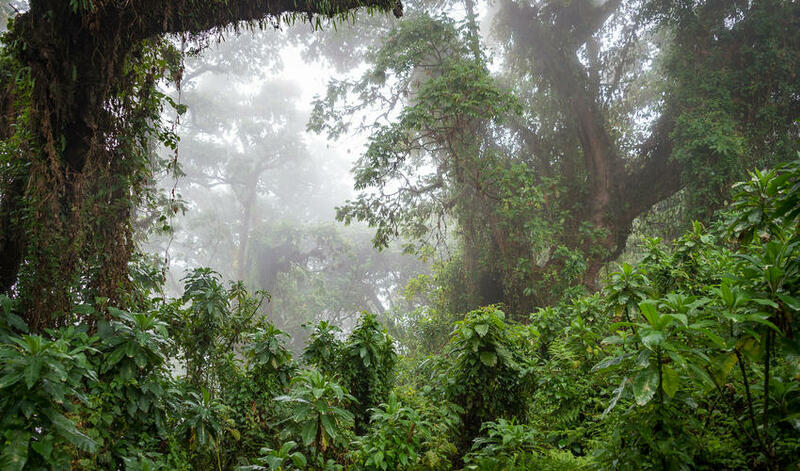 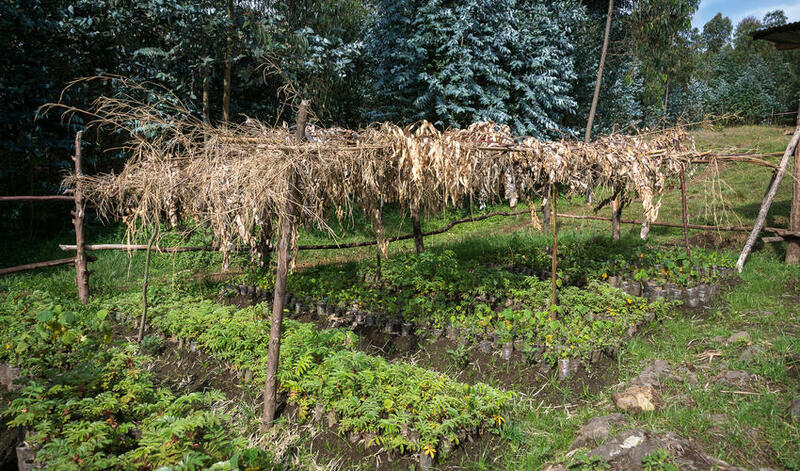 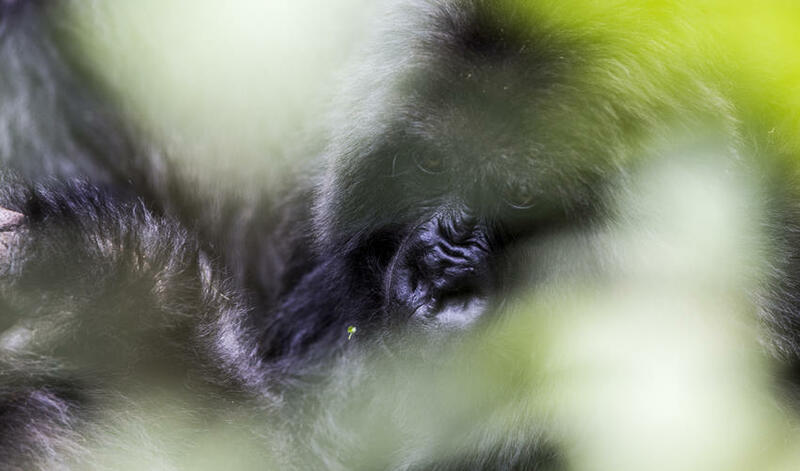 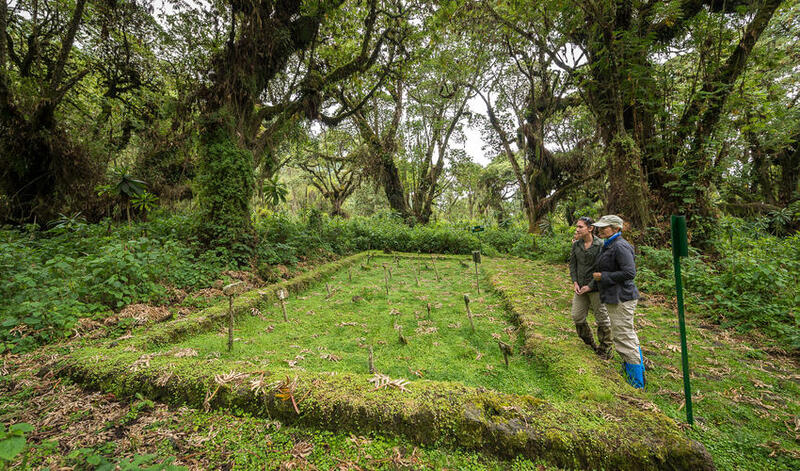 If you're interested in hiking with a more historical focus, opt for the trail to Diane Fossey's remote rainforest gravesite and learn about her work with the Karisoke Research Centre. 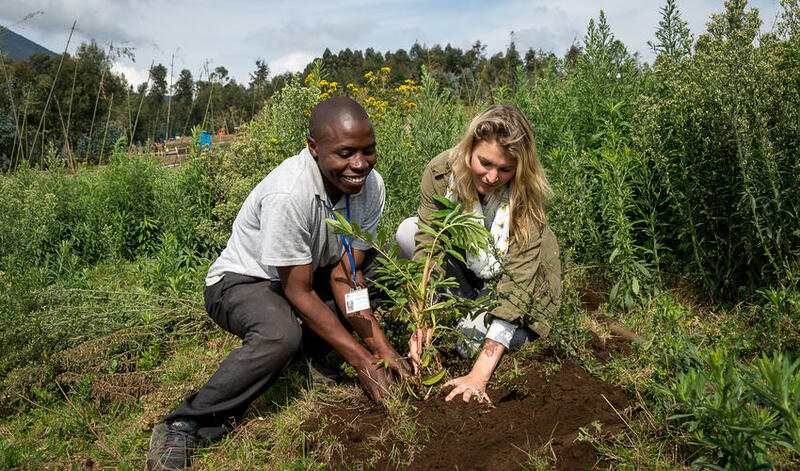 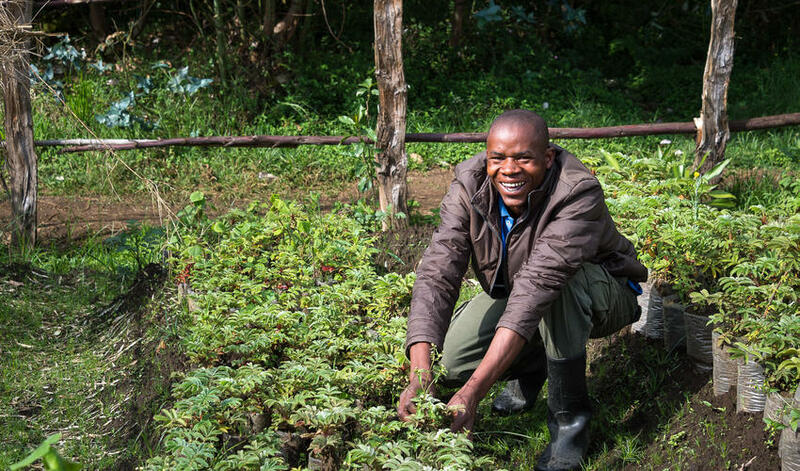 Optional tree planting at the reforestation nursery is a fabulous conservation activity. 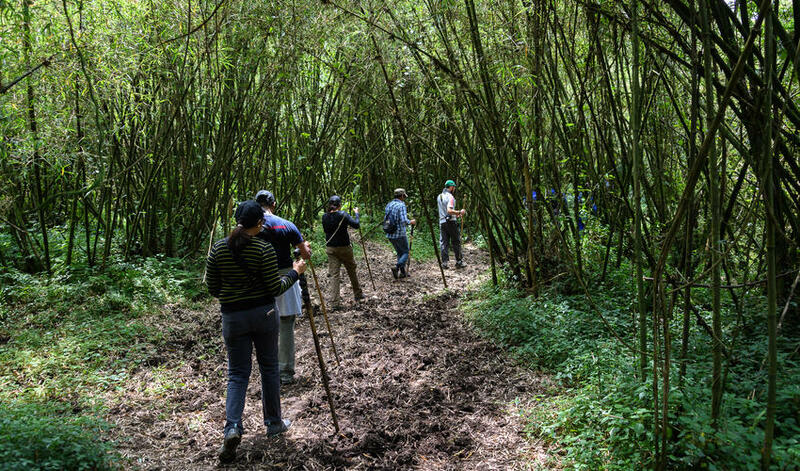 Alternately, if you need a break from activity, you can enjoy wine, coffee or tea tastings or leisurely strolls through the forest on a guided birding walk.